This popular pine wood Chippendale bench offers plenty of room for two. The Chippendale Bench is inspired by the 18th century English Garden furniture. 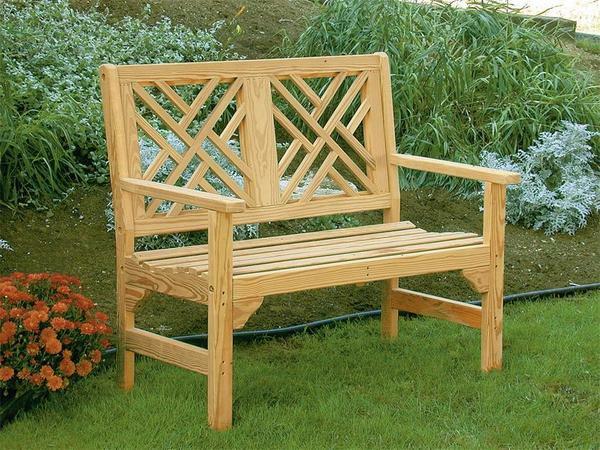 Place this beautiful wood bench in your garden, patio or front porch. Create an outdoor living space with this bench as well as our Chippendale Chairs and coffee table. This garden bench is Amish made in Lancaster, PA using quality products and workmanship.